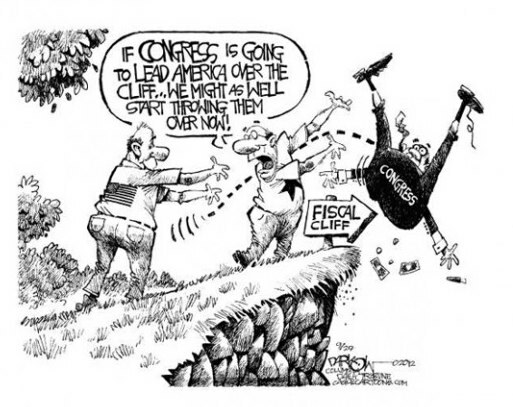 So what exactly is this frightening “fiscal cliff” that it seems everyone is fretting over? Very simply, it is the possibility that the federal government will be forced to cut it's $1.1 trillion budget deficit by about $500 billion this next year. In other words, it is the horrific specter of our magistrates having to cut their projected program increases! It is the terrifying possibility of having shrink the federal deficit to “just” $641 billion. Oh, horrors! Do something quick!